A portion of a busy White Marsh thoroughfare has been shut down due to a Wednesday evening crash. 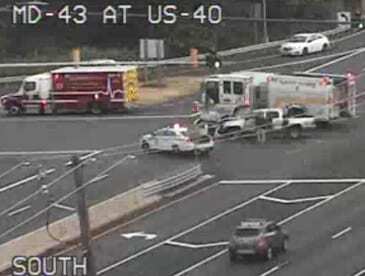 The crash was reported at about 7:30 p.m. along Route 40 at White Marsh Boulevard. All north/eastbound lanes of Pulaski Highway have been shut down for crash cleanup. Some additional ramps have also been closed.